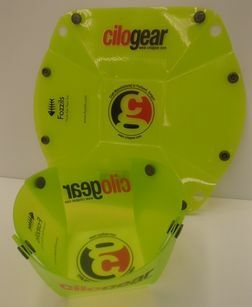 CiloGear Fozzil flat pack Bowl! Silicon coated for easy holding, flat until you snap it together, and decorated with your favorite company's logos: what's not to love about the CiloGear Fozzil bowl? As a plate, it's about 9.5" x 9", and as a bowl it holds enough for dinner. It holds a bit more than half a liter, or all your buddy's going to share with you anyway. 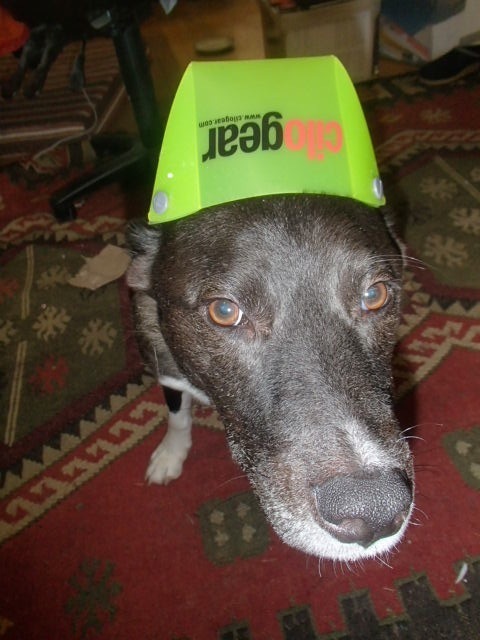 You can even use it as a hat for your dog! Not sure how long it will stay there, but it is possible.